Club meetings are held every second Wednesday at the Maui County Civil Defense Emergency Operating Center (EOC) Conference Room. The EOC is in the basement of the County Building. The County building (shown in red in the map below) is located on High Street in Wailuku. Just come around the back of the building from Kaohu Street. Directions can usually be received on 147.020 (+600-no tone). Meetings start at 7:00 P.M. and usually last about 2 hours. In December we usually have a special picnic replacing the December meeting at an announced location. 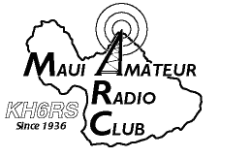 Amateur radio clubs and organizations around Hawaii sponsor or participate in a variety of operating events and meetings. This is a list of key events around the state. Sunday December 8, 2019 Communications for Honolulu Marathon. Email Greg NH6ZS for more details. 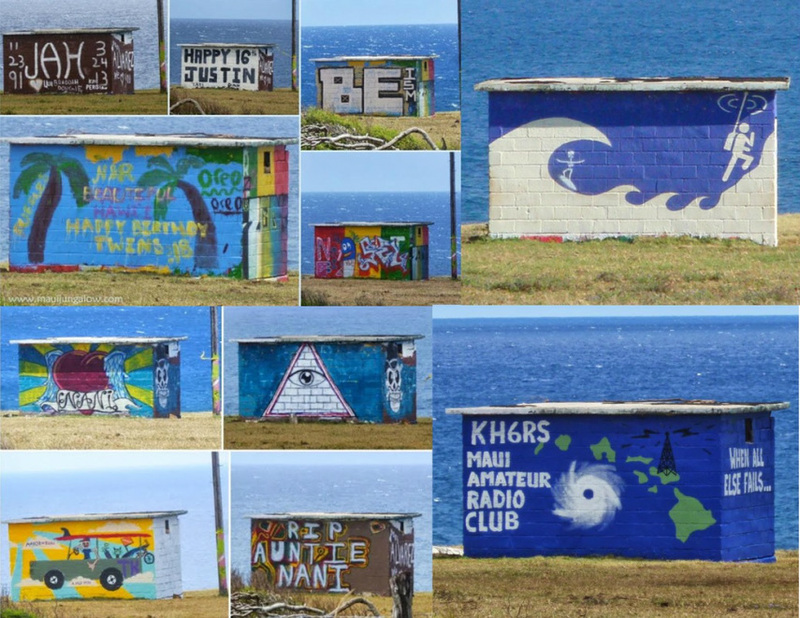 You will see the block house in the pictures below on the ocean side of the highway. As you can see it regularly gets a new face.